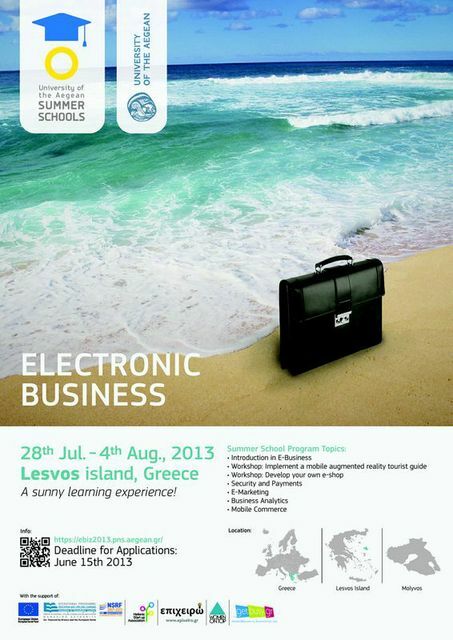 The Department of Information & Communications Systems Engineering of the University of the Aegean organizes the 1st International Summer School in Electronic Business- eBiz2013, from the 28th of July till the 4th of August 2013, in Molyvos, Lesvos Island, Greece. 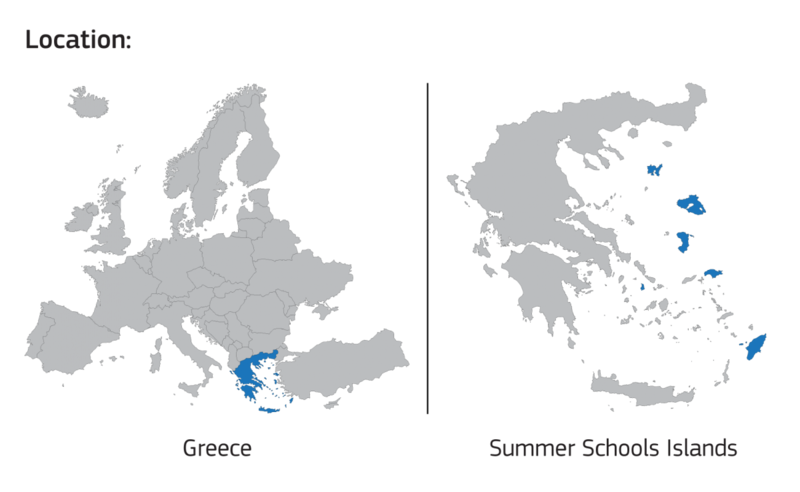 The First Summer School in Electronic Business is organized with the support of the ELTRUN laboratory for e-Commerce of Athens University of Economics and Business (AUEB), the Departments of Marketing and Statistics of AUEB, the Department of Financial and Management Engineering of the University of the Aegean, the Institute for Language and Speech Processing and the Michigan State University. E-Business is an interdisciplinary topic encompassing both business and technology. The purpose of eBiz2013 Summer School is to provide a broad introduction to e-business technologies, increase participants’ understanding of the complex issues related to marketing goods and services on the Internet, and to expand on the fundamental e-business theory and practices. Indicatively, participants will work collaboratively in teams to design and implement an online presence for a Business-to-Consumer e-shop and will also implement a mobile application for an Augmented Reality tourist guide. Participants will also learn new skills (via mentoring) and apply skills learned in the eBiz2013 program as they develop a short e-Business Plan for an innovative idea in the e-Commerce environment. The 2 best e-business ideas will be awarded with a Touchpad Tablet! The participants will have the opportunity to meet and interact with highly regarded digital Entrepreneurship scientists. Through modern methods of teaching process, such as lectures, workshops, practical exercises, brainstorming sessions, mentoring, and one educational field trip, eBiz will cover in depth e-business topics. Upon completion of eBiz courses, participants will receive a Certificate of Attendance (3 ects credits). Molyvos, Lesvos Island, is an ideal summer destination, combining idyllic scenery with high standard service provision in accommodation and leisure. Molyvos at the northern tip of Lesvos is arguably the most beautiful village of the island with its picturesque harbour dominated by the castle and tiers of red-tiled stone houses climbing up the slopes away from the blue sea. At night, the flood lit castle turns the harbour into one of the most romantic places on earth, perfect for a special dinner-for-two. Hellenic Seaways: 30% GROUP DISCOUNT for all eBiz2013 participants!